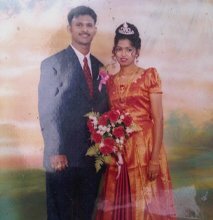 ExecutedToday.com » 2003: Vignes Mourthi, framed in Singapore? On this date in 2003, 23-year-old Malaysian Vignes Mourthi was hanged in Singapore’s Changi Prison as a drug courier, along with his supposed collaborator Moorthy Angappan. Mourthi vigorously maintained his innocence, and his family has done likewise in the years since, helping turn the young factory worker into a wrongful-execution poster child. It was a Sgt. Rajkumar who arrested Mourthi by posing as a buyer of his cargo. Rajkumar would later present an undated, unsigned “confession” purporting to show that Mourthi was completely aware that it was heroin he was moving. At first read one might might indeed doubt Mourthi’s insistence that he thought he was carrying “incense stones” … but his compatriot Angappan was indeed an incense dealer and a family friend known to Mourthi as such. British journalist Alan Shadrake‘s 2010 indictment of Singaporean justice Once a Jolly Hangman (banned in its titular city-state) calls Mourthi’s hanging “arguably one of the most appalling miscarriages of justice in Singapore’s history”. Intense efforts were … made by Rajkumar’s many friends in the CNB and a police friend at Clementi Police Station to persuade ‘J’ to withdraw her statement. The bribes involved large sums of money, which she refused … There were frantic, secret meetings between Rajkumar, his police officer friends and his accuser in shopping malls and fast-food outlets during which he, his family and friends continued to offer large sums of money in exchange for withdrawing her allegations. All this intrigue was going on while Rajkumar was busy getting enough evidence together to ensure Mourthi would be found guilty and hanged. So. That’s less than ideal. Sadly for the accused, none of this credibility-melting information was ever known during Mourthi’s trial and appeal. After Mourthi’s execution, the bad cop who hanged him went on trial for corruption over his witness-tampering, and eventually served 15 months.